The Aspire Speeder Revvo kit includes a compact and heavy duty 200w speeder mod and a hard hitting Revvo sub ohm tank and an all-inclusive full temperature control suite. The vaporizer is sophistically built with an 0.96-inch OLED display that displays the information necessary to the user. The screen also has auto display adjustment which is very design “genius” as it can be able to rotate its screen depending on the devices angle. The Aspire speeder is a vaping must have. 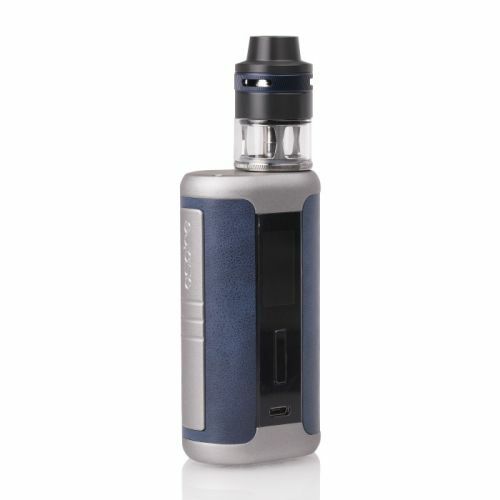 The vaporizer features a supercharged Output range of between 1 to 200W. It also supports Titanium, Nickel 200 and not to leave out the full temperature control modes capability. The speeder is efficiently driven by 2 high powered 18650 amp batteries and can also run in stealth mode and bypass mode whenever required. The Aspire speeder Revvo kit also comes with a USB port for future firmware updates and for charging. The Revvo sub-ohm tank is made of a 24mm threaded top fill system with cutting edge system that allows for spring loading and latest horizontally oriented Aspire Radical Coil for increase in surface area to for maximum vape benefits. A solitary spring loaded fill port is used in filling the tank up which can hold up to 3.5ml of e-juice. To adjust the airflow, the vaporizer is built with triple to adjustable airflow and a 12mm wide bore drip tip plays the role of the drip cap.